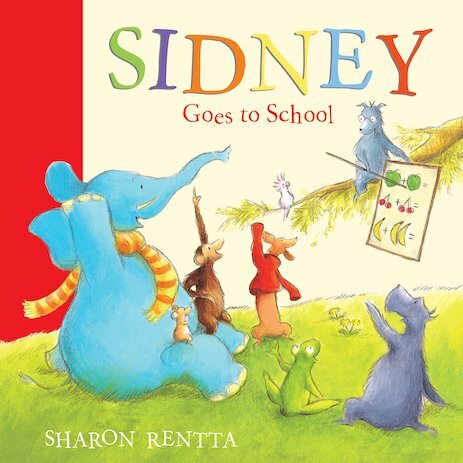 Sidney the Blue Elephant is going to school – and now there’s a new classmate, Alfie the Chimpanzee! Everyone loves him. Everyone, that is, except Sidney. Alfie’s just so good at everything! What a show-off! A jealous Sidney decides that he, for one, isn’t going to be won over by Alfie. But when Sidney does a Very Naughty Thing and gets into trouble, it’s Alfie who finds a way to cheer him up. Perhaps Sidney and Alfie do have one thing in common after all – they’re both great at being friends! This funny and reassuring story about starting school and making friends is perfect for little ones who are preparing for their first day in the classroom.